Cheap Carpet Cleaning - PayLess Affordable Carpet Cleaning Santa Barbara - (805) 669-8225 - "Call Now and Save!" 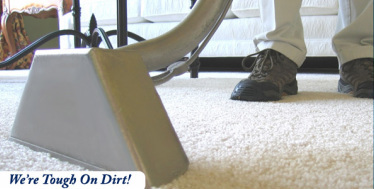 PayLess Affordable Carpet Cleaning Santa Barbara - (805) 669-8225 - "Call Now and Save!" Please enter the address of where you need the carpet cleaning. If you would like to be contacted by Email, please enter your Email address. Please select how many rooms of carpet you need us to clean. "Why Over Pay For Carpet Cleaning?" Get Low Price Carpet Cleaning! PayLess Affordable Carpet Cleaning has been saving Santa Barbara, Goleta, Isla Vista and Carpinteria Homeowners and Renters $$$ on professional carpet cleaning Since 1968. We are dedicated to providing high quality affordable carpet cleaning at a low price by eliminating unnecessary costs associated with professional carpet cleaning. Much of the cost associated with professional carpet cleaning are the basic things that must be done before the actual carpet cleaning can begin. For example: Pre-Vacuuming & Furniture Moving. Just these two items can be very time consuming for the carpet cleaning technician and the actual price for carpet cleaning will reflect the extra work that is involved. Not only do you save money by doing this extra work yourself, but the actual time it takes to do the carpet cleaning job has been drastically reduced. That is how we can pass the savings on to the consumer. There is no secret to low price carpet cleaning(Time=Money). Our powerful truck mounted carpet steam cleaning machines provide the extra deep cleaning power neccesary to remove ground in soil and extract difficult spots and stains from your carpet fibers while reviving carpet color and softness. Here's your chance to clean up those reappearing spots, pet stains, odors and dust mites that have been hiding in your carpet for way too long! You can save money on professional carpet cleaning by picking up the phone and calling us right now at 669-8225 or you can request a free instant online estimate. Moving Out And Need The Carpets Cleaned? Doing Some Last Minute Cleaning Up? Do You Have Guests Arriving? Is A Special Occasion Coming Up?